With a down-to-earth atmosphere, the largest Spielecke for kids that I’ve ever seen, a floor-to-ceiling chalkboard and long, deep tables – you can easily spend hours absorbed in your sketchbook amongst the locals, the mommies, the students and the business-lunch guests. Quite an eclectic mix. If you are shy about drawing in public, start with a sketching session at Kafi für Dich – you’ll feel at home! Spreading out our markers, pencil crayons, sketchbooks and apples didn’t wreak havoc with die Ordnung, confuzzle the other guests or irritate the waitress. In fact, she invited us to come and draw anytime. As you know, feeding the artist is essential to good sketching (and keeping the waitress happy). So we ordered feta and spinach quiche with salad and homemade ice tea – for under CHF 20. The cheesecake looked mighty fine too, but we lost track of time and had to sprint back to the office. Sketching the process of eating an apple trains your eye and introduces the basics of storytelling. You’ll find Kafi für Dich in Kreis 4. A 10 minute walk from Stauffacher, it’s situated right across from the Bäckeranlag at Stauffacherstrasse 141. Quick sketches done while enjoying a café crème at the TIME bar in Zurich’s main station. 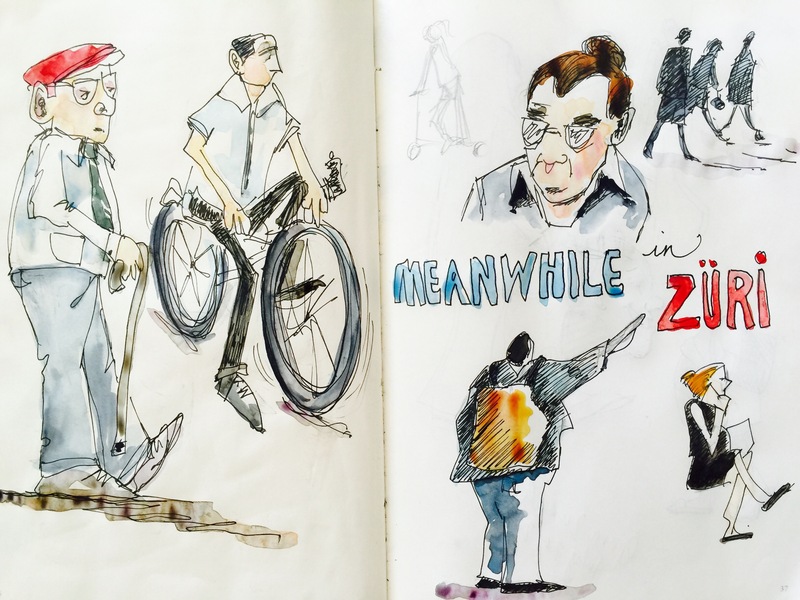 With 414,000 people using the station every day, the HB is a hot spot for sketching commuters and crowds. Despite learning Swiss German, I still can’t describe where I live without evoking squints and blank stares. Why? I live in a town with an umlaut. Meilen is just down the road from me, refreshingly free of vowels I can’t say and chock full of great spots for sketching. My grandfather used to finish all of his stories with that line “How do you like them apples?” and I thought of him as I was sketching this juicy “Jonagold” from Stäfa’s orchards. 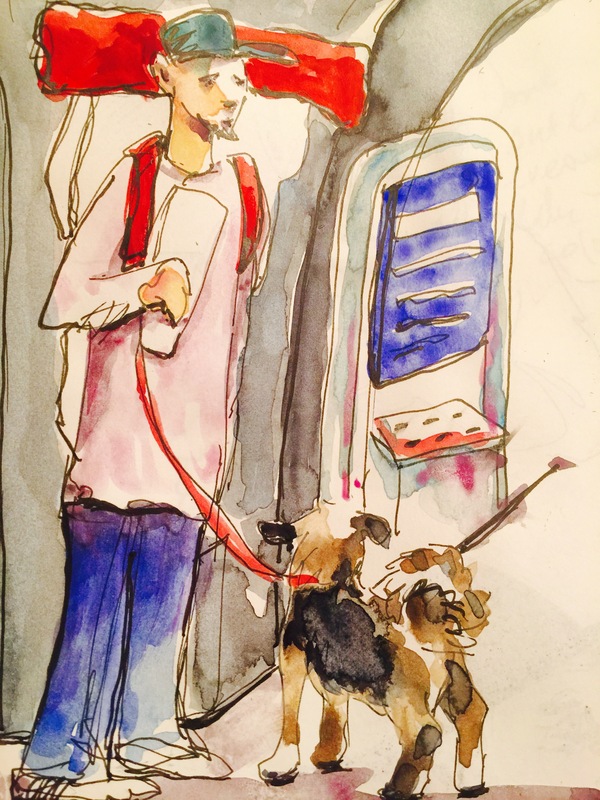 Read a bit about my story in an interview with Charlie O’Shields at Doodlewash by clicking on the sketch.